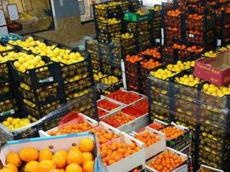 In the first 9 months of 2018, the export of Kazakh agricultural products to China increased by 42 percent, Kazakhstan's Agriculture Vice-Minister Arman Yevniev said, according to Kazakh media. "To ensure the availability of markets and the development of exports, measures are being taken to protect the domestic market and expand foreign markets," he said at a government meeting, noting that the Chinese market is open to many agricultural products. Yevniev also said that veterinary requirements for the supply of live sheep, frozen and chilled lamb, beef and eggs have been agreed with Iran. This year it is planned to harmonize the requirements for live cattle supply. "Restrictions on the supply of cattle and small ruminants to Saudi Arabia and the UAE, as well as of meat, meat products and chicken eggs to the UAE, have also been lifted," the vice minister added. He further noted that 153 Kazakh enterprises have the right to export agricultural products to China, and 17 fish processing enterprises have permission to export fish products to the EU.